Babies cry for many reasons. 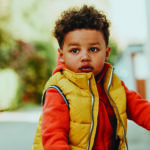 Kerry Hayes explores some of the main ones, and gives advice on how to soothe your little one when they are feeling unsettled. Your baby is the most precious thing to you, so to hear them crying tears at your heart. You will do just about anything to make whatever it is that’s upsetting your little one better but sometimes it’s difficult to decipher why they’re crying in the first place. There are many reasons why a baby cries. Understanding what the most common causes are, will help you to soothe them. Babies cannot verbalise their need to be fed yet, so expressing this need by crying is the best way for them to communicate. There are some signs that you can look out for to pre-empt baby’s desperate call for food, which will help avoid that crying spell. These include fussing in newborns, lip-smacking, rooting for the breast, and bringing their little hands up to their mouths in a feeding gesture. Remember that babies’ tummies are small, so the little that they hold gets absorbed quickly, thus their need to feed more often – especially if they are breastfeeding. 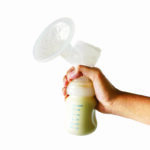 Formula tends to last a little longer, but if your baby is crying and hasn’t fed in an hour or so, try offering him the breast or a bottle. Following that feeding, babies often experiences gassiness, as air is sucked in when breast or bottle feeding. Some babies are extra sensitive to the bloating that comes with having gas in their little bodies, and a gentle burping can relieve the discomfort. Laying your baby on their back and gently pedalling their legs in a bicycle motion can also help them to release that uncomfortable gas. Could that gas be colic? Tummy troubles associated with colic can also make your baby very unhappy and prone to crying. 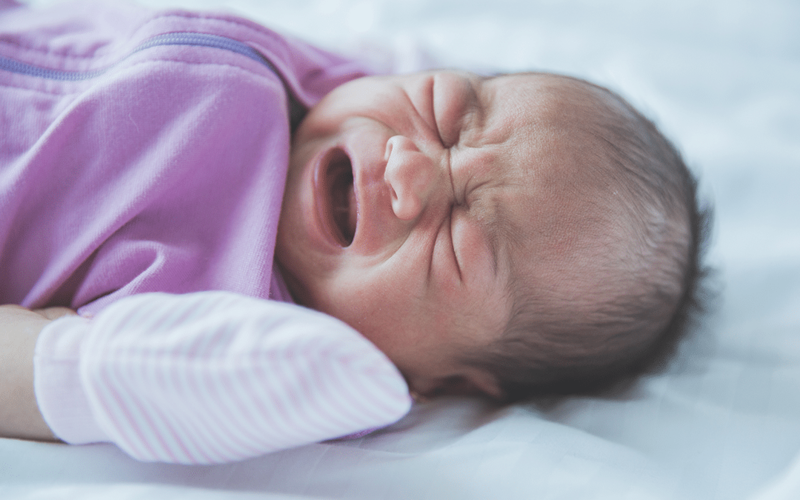 If burping and passing wind don’t stop baby crying, and the crying continues for a number of hours, the somewhat mysterious condition of colic could be the cause. Colic occurs in babies that are between six and 10 weeks old, and the cause for this condition is unknown. A colicky baby’s cries are usually louder and more high-pitched than normal, and last for at least three hours a day for more than three days a week persisting for more than three weeks. Soothing a colicky baby can be extremely difficult and parents can become overwhelmed. However, the good news is that colic doesn’t last forever, so often all that is needed is a bit of patience and it will be over in no time. Although there are no prescribed medical treatements for colic, many parents swear by over-the-counter anti-gas drops or gripe water, but it is always advisable to seek the guidance of your GP or paediatrician before giving your little one any form of medication. Other suggestions for soothing a colicky baby include: swaddling your baby or playing different noises for your little one. Anything from a specific playlist of songs to the sound of the vacuum cleaner may help to settle your baby. 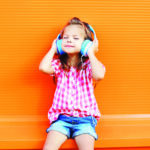 Playing white noise for your baby can also help to calm them down, according to some parents. Tiredness, or over-tiredness, is a primary culprit in an unhappy, weepy baby. Quite the opposite of nodding off easily when tired, an exhausted baby can fuss and cry for ages before heading off to dreamland. Over-stimulation is a sure-fire way of pushing baby over the tiredness edge, and their attempt to take everything in when so much is happening, can leave them feeling completely overwhelmed and, understandably, very unsettled and upset. Removing your little one from an over-stimulating environment is the best way to calm them down, even if it’s walking away to a quiet corner and rocking them gently while talking to them in a soothing voice. Other signals of tiredness include staring blankly into space and becoming uncharacteristically quiet all of a sudden. 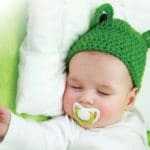 Helping your baby calm down and feel more secure will aid them in falling asleep – swaddling is a great way to make your baby feel safe, cosy and comfy, and more inclined to be lulled into sleep. Having a dirty nappy would make anyone uncomfortable, especially a baby who can’t do anything about it himself but cry to let someone know that he has a dirty nappy. Some babies can hang on longer than others to have a soiled nappy taken care of but regular nappy-checking can save baby from much discomfort and a consequent unpleasant nappy rash. Babies require a lot of love and attention, and sometimes a cry is really just a need for a cuddle. Hearing their parents’ voices, their heartbeats, seeing their faces, and smelling their unique mom or dad-scent, can settle baby in moments, and leave them happy and gurgling. If baby calls to be held more often than not, this can be very demanding and tiring for parents – consider putting your baby in a sling or front carrier as you go about your household chores. This will add a soothing rhythm to the closeness that your baby feels to you as you wash dishes or do laundry. Experiencing some sort of pain. Sucking or chewing on something. The dummy dilemma: should you use a dummy or not?